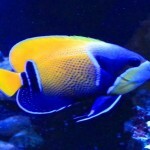 After being asked about, and reading about, many situations were hobbyist experience problems with their first marine aquariums, (as well as thinking back to my first marine aquarium) you could attribute almost all of these difficulties to the below list of the most common mistakes people can make with their first marine aquarium. These are not listed in any particular order as I just typed them out as I remembered them. You have to keep in mind; the severity of any of these potential mistakes will vary greatly between hobbyists based on their situation and their actions taken. Any one of these common beginner mistakes when settin up your first marine aquarium can lead to minor problem you may not even notice all the way to completing crashing your tank and everything in between. It is very common for new hobbyist to make this mistake. What happens is they notice the water level in their aquarium has dropped due to evaporation. They will mix up some new salt water and add it to the aquarium to replace the tank water that was lost through evaporation. What they don’t stop to realize is that only pure water evaporated leveling all the salt and minerasl behind. Over time (maybe a few weeks to a month) the salinity in the tank will raise from the salt in the top up water until it reaches a high enough level to crash the tank, or the hobbyist tests the tank, notices a problem, and makes adjustments. That is why you must top up with fresh water and not salt water. This can be the easiest mistake to make for people new to the hobby, and is a pretty common problem to find. When you see your fish beg for food you might falsely assume you are not feeding enough, not realizing how much food your fish actually needs to be healthy. Others may overfeed by feeding there fish too often each day (like 2 or 3 times a day) not realizing their particular fish will do best when fed 3 or 4 times a week. 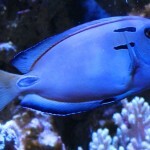 Overfeeding can lead to two different and serious problems: 1) it can have a negative effect on the long term health of your fish, and 2) you will be creating water quality problems through excessive fish wastes, or rotting fish food on your substrate, or even both situations at the same time. 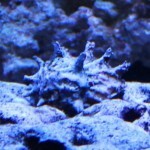 Both negative effects can build up in your aquarium over time and actually lead to a tank crash if not corrected. This is an easy situation to completely avoid if you research not only the nutritional requirements for your fish but also the amount of food they should get every day or week. These requirements and optimal feeding schedules can vary widely between the different types of marine fish so I cannot offer you a “rule of thumb” to use. 3. Starting off with a tank that is too small. While having a small tank (ie. 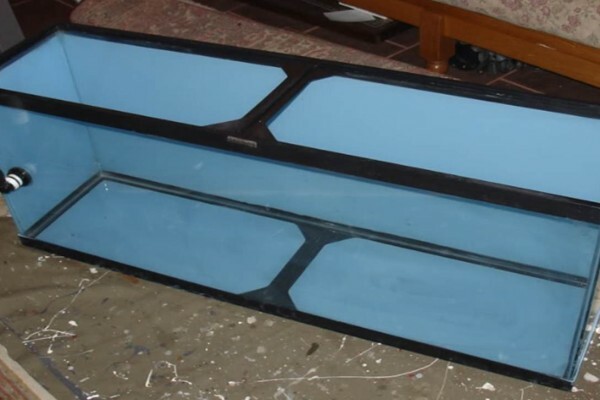 less than a standard 29 gallon) may seem like a good idea or an easier approach to your first marine aquarium, but it really is not. I would leave the small tanks to experienced hobbyists. Small setups can be challenging at the best of times to maintain stability in all of the important water parameters. Stable parameters are the key to long term success. The larger the set-up, the more water you will have and the easier it will be to maintain your parameters. The extra water volume will also buffer the effects of any mistakes you could make with your first setup. And let’s face it, we have all made mistakes with our first marine aquariums. I have read about a lot of situations were hobbyist run into serious problems setting up a 5 or 10 gallon as their first marine aquarium, struggling to keep fish, corals, or both alive in their tank for any length of time. When choosing a tank, start as big as you can afford. If you can’t afford at least a 29 gallon tank for your first set-up, then I would suggest waiting until you can afford it. 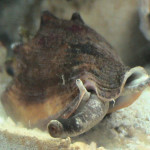 I have found it to be a somewhat common perception many new hobbyist to marine aquarium that you really should not be changing water. I have often asked people with this perception what they base that opinion on. In a large number of the replies that I have received, the person had read articles about how others will set up a beautiful marine aquarium and maintain it with next to no waterchanges. The part that most people to not properly understand is that these are mature set-ups being maintained by people with decades of experience who have spent years researching and perfecting their skills to develop and maintain the proper balance and other requirements to achieve this. 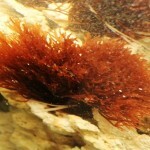 Without this background and speciality or required equipment in place, you will need to do about 10% weekly water changes to not only replace the trace elements in the water that are required by all life forms in our aquariums, but this will also help to prevent the buildup of dissolved solids, toxins, and excess nutrients in your aquarium. If you were to stop doing waterchanges for a month or so, you would most likely start to see degradation in water conditions likely leading to a tank crash in about a year. The below link can help explain this a little better if you would be interested in some additional information. When you hear statements like: I can’t understand why my tangs just won’t get along, why does my trigger harass my lionfish, or my firefish went missing after I added my large lionfish, then you know compatibility was not considered when adding fish to the tank. Also when you see pictures of 4 or 5 very small pre-juvenile tangs in a 29 gallon tank, or a beautiful snowflake ell in a 30 gallon tank, you know no consideration was given to caring for these fish for the duration of their lives. Careful consideration must be given to ensure the fish you put in your tank can happily live out their lives together and that you know how to properly care for them. After all, they are just not fish, but living animals. You cannot trust the employees at a local fish store to do this research for you as the vast majority of them do not know your setup as well as you do, or they may only be interested in making a sale. This is another reason why impulse buys often lead to problems later on. this article has to be one of the best all round articles I have read, having been a keen fish keeper for quite a few years, and having kept ponds, freshwater and tropical aquariums and recently graduating to a marine reef setup, I am constantly on the lookout for information that I can study to increase my knowledge of fish keeping, and one thing I have been taught along the way is that we are water keepers, (we have to condition water so that certain parameters are kept within certain boundaries, to benefit and sustain the health of the inhabitants of the tank), in other words look after the water and the fish and corals will look after themselves. Thanks Cliff, very helpful information. Great info here. 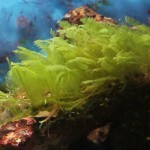 I have been keeping fish and propagating corals for years and I saw a lot of the mistakes I have made on this list. In order to conserve the natural world, anyone interested in starting an aquarium (especially saltwater) should read this. Many of us do not realize the amount of livestock that are not captive bred, but rather come from the wild. Simple facts like you listed educates the public and furthers the success of the hobby. It’s definitely not good when someone purchases a tank and immediately begins to experience difficulties. Many become frustrated immediately and abandon the tank- thus forcing craigslist to become LFS largest competitor- many of which are owned as small family businesses. Thanks Josh. I am very glad you found the article helpful for new people to the hobby. 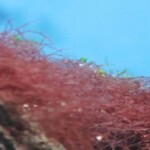 This list of common beginner mistakes is spot on, in fact over 90% of saltwater aquarium beginners make these mistakes and more and then about half of those people give up on it all together! 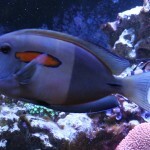 A Saltwater Aquarium Beginners Guide coupled with the list on this page are invaluable information when looking at setting up and maintaining a saltwater aquarium for your first time, it doesn’t have to be stressful and make you pull your hair out it should be a fun and majestic hobby! Hi! We are new, sort of, a year into our saltwater aquarium and we had been having issues with green hair algae, so finally we scrubbed all the live rock and now our tank looks worse, now we think it’s crashing. We have 5 fish, a star fish, an anemone, and lots of crabs and snails! What can we do to save them, and fix our tank problem. Right now, I would suggest daily water changes of around 20 to 45%. As you scrubbed your live rock, you most likely reduced the amount of beneficial bacteria that was in your set-up. Hi I’m trying to start a salt water aquarium but I’m new to the hobby. I was thinking of a biocube 14gal. With no hood so I can purchase my own clamp led lights needed. Any suggestions on what I need to buy to start off like a list and maybe recomend brands also.thank you. Another thing I know u recommended a 29 gal atleast, but would i be able to in a 14gal? A 14 gallon will really limit your options. You could start off with some smaller softies like zoas and maybe a clown gobie. 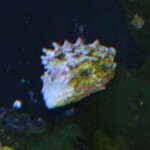 Hi I had a small nano marine tank that cycled for about 6 weeks i added fish and corals. I bought a new tank and want to use the live rock from my smaller tank in my new tank. Do I need to cycle my tank again for 6 weeks? We have all been there Tim ! There is a article here on water chemistry. Have you found that one yet ?